Product #6251 | SKU MHE-100.5 | 0.0 (no ratings yet) Thanks for your rating! Hosa Headphone Adapter (6''). 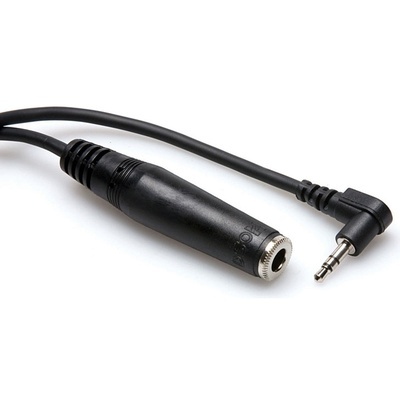 This adapter is designed to adapt a stereo phone plug to a mini stereo phone jack. The right-angle mini stereo plug and pigtail design reduce stress on the input jack and improve connectivity.